Melbourne Spring Fashion Week (MSFW) is one of the city’s premier events, supporting and promoting the retail, fashion and design industries. As Melbourne’s hallmark consumer fashion event of the season, MSFW launches Spring/Summer ready-to-wear collections and creatively showcases Melbourne as an iconic destination for fashion, retail, design and hospitality. Curated by City of Melbourne, this one of a kind event features runway shows, exhibitions, fashion parades and workshops, showcasing the very latest fashion trends from some of the city’s top designers. Given IE’s background in working with both Visit Victoria and high-end fashion brands, the creative prowess of the company was the obvious choice for this project. MSFW hosts 200+ events over the course of one week, with the core pre-experience happening online. City of Melbourne was presented with a design challenge to create a website which could be accessed by different audiences, including members of the public, and present relevant information on the events, shows and designers exhibited at MSFW. In order to ensure the best results were achieved, the IE team worked collaboratively with the MSFW development team over a tight three-week period. The build time was limited so IE needed to fully understand what velocity the team was able to work at, as well as any other constraints that may be likely to affect the design of the website. By working closely with the development and marketing teams at City of Melbourne during the initial planning phase of the project, IE was able to form a strategy to clearly identify the structure of the design and build. It was vital that IE’s designs followed an efficient layout structure and user interaction patterns that could easily be translated into working code by City of Melbourne’s team, so having the artwork well prepared and documented was a priority. 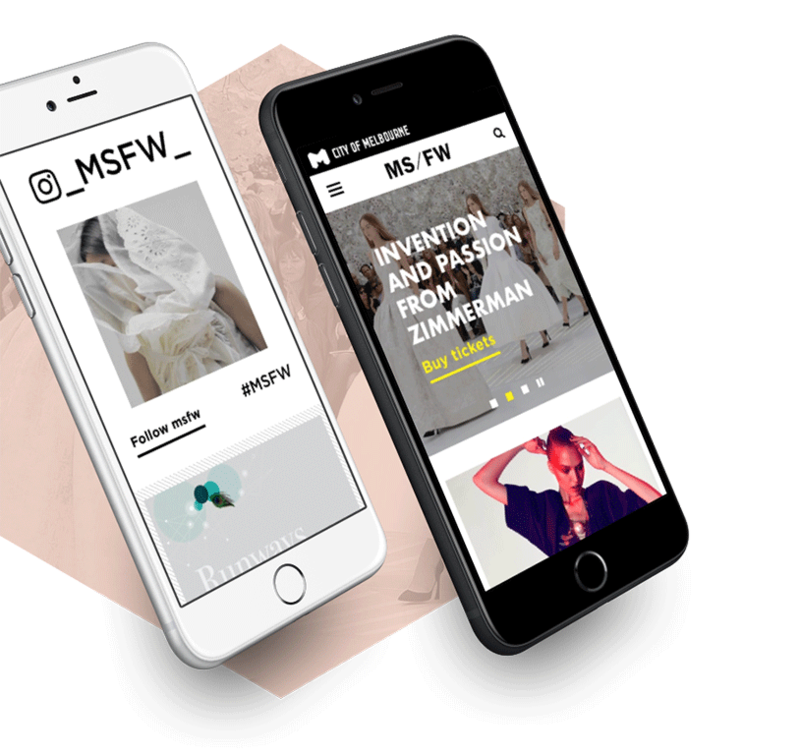 The IE design team was able to develop a user friendly, accessible and visually stunning website that the MSFW team were able to implement and test within a very short build time. The success of the project was down to understanding the needs City of Melbourne had, translating that into a beautiful – and usable – design and building a healthy relationship in which two separate teams could work together efficiently. The refreshed Melbourne Spring Fashion Week website design for the 2017 event season has enabled us to provide a more premium brand experience to our customers. It shows we’re up there with the best across the globe and are dedicated to having every touchpoint, from online to offline, promote engagement. Now that we have a strong base with this design, we can iterate each year to grow and promote the fantastic designers that Melbourne, and the world, have to offer using our digital hub.